OK, folks, this isn't BS. It's not even "bob's bs". THIS is a protip of epic proportions. I've battled depression, and still do. I've battled the knowledge that I have Klinefelter Syndrome, and still do. I've battled a lot of other things that don't come to mind just now. But one thing I'm battling within the last twenty-four hours is that I'm losing my eyesight. Vision. Seeing things. Looking. It's that one primary thing I think most folks take for granted. You're reading this? I bet you're taking your eyesight for granted right this second. 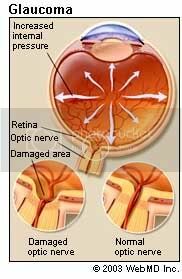 I was diagnosed Friday with Wide-Angle Glaucoma. From what I got from informational pamphlets at the ophthalmologists' office, there's surgery. Considering those were likely written years ago, it figures. Now there's drops. And surgery. It's still so early in the sequence of events that I'm not sure what the "next" step is. I'm using Lumigan drops through Tuesday evening then another appointment early Wednesday AM. Taking Marilee with me since I probably lost some info in the process. Forgot much of what was said after he said "blindness". Dammit. I used to kid around about "Not seeing myself going to work." Didn't think that might end up as "Not seeing."